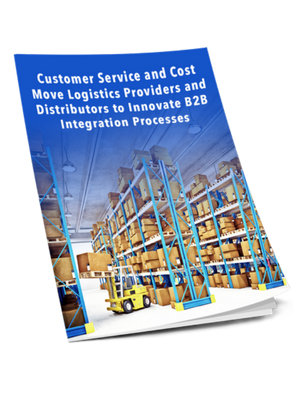 Learn the trends in logistics and distribution that cause logistics service providers, or 3PL providers, and distributors to reevaluate and revamp their B2B processes. LSPs and distributors are squeezed by their customers as everyone tries to reduce costs while supporting new customer requirements. In interviewing manufacturers and retailers about changes to their B2B processes, we found a strong emphasis on increasing the speed and visibility of key processes, including supporting faster supply chain logistics processes, multichannel integration with order management, and better inventory optimization in which 3PL providers and distributors play a large role. Due to the very tight margins typical in distribution and logistics, LSPs and distributors need to ensure that they minimize any mistake that can occur that decreases profits even as customer demands for faster speeds and more complexity increase the probability of mistakes. Please complete the brief form on this page to receive the complimentary white paper from IBM and Lightwell.